Glo 4G LTE data plan has been around the conner since the first quarter of 2017. Glo LTE service was made available for some states and is yet to be made available nationwide. This pages contain Glo 4G data plan subscription codes and prices. 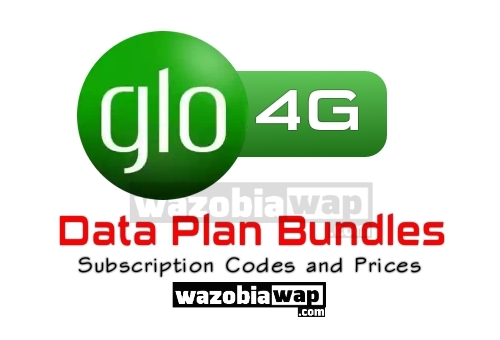 For you to be able to use Glo 4G LTE Data Plan, you must must have a 4G LTE enabled smartphone and a Glo 4G LTE SIM which is now available nationwide. To know if your smartphone supports glo 4G LTE, text 4G to 400. You can also swap your old SIM with the new Glo 4G LTE SIM. Glo LTE Coverage is Available in Lagos: Lekki, Ikoyi, Victoria Isla, Ajah and Akoka, Abuja: Maitama, Wuse, Asokoro, Garki/Central Business District and Airport Road, Port Harcourt: Aba Road, Trans Amadi, Diobu, Old GRA and UNIPORT, Benin, Warri, Eket, Jos, Zaria: ABU, Yola: ABTI for now.